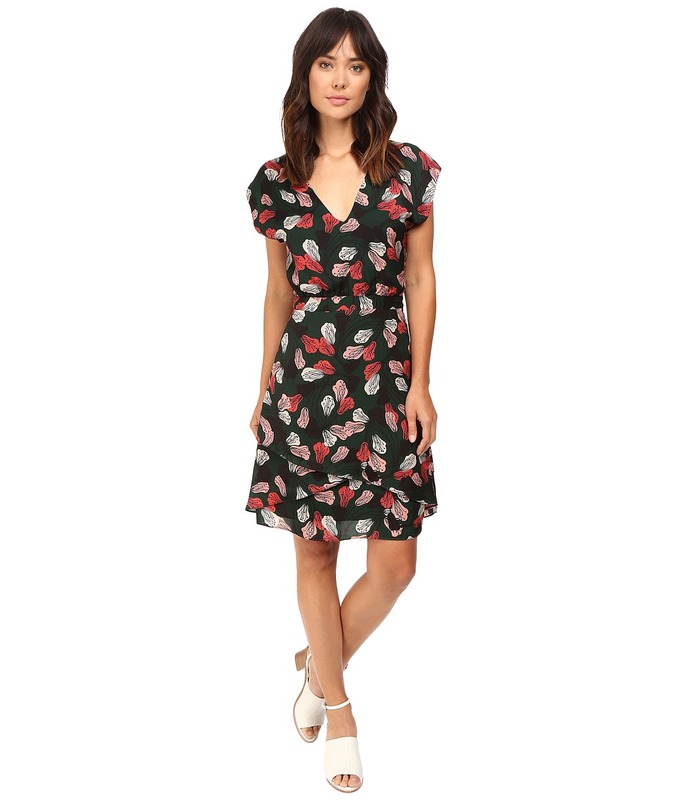 Dolce & Gabbana – Renowned for its dynamic and playful prints, Dolce & Gabbana’s AW18 collection features a red handbag print that appears interspersed with white polka dots on this black silk-blend charmeuse dress. It’s cut with long sleeves a full skirt, punctuated with a wide waistband that is accented with a signature ‘Bags Devotion’ tag. Add black stiletto heels to complement the fluid hem.